Managed by the well known Cardiologist Dr. Johnson George who served his very best in all the hospitals from CMC Velloor, Madras Medical Mission, St.Gregorios Parumala, Century Hospital Chengannur, Mercy Hospital Valakom to the present Padmavathy Heart Foundation, Sasthamkotta. 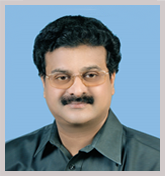 He is also the visiting cardiologist at Medical Trust Hospital Cochin, and KIMS Trivandrum. Madras Medical Mission, Chennai under Padmasree Dr. K. M. Cherian.